When I was young and naive, I use to despise coffee. Not because I believed that it had any sort of negative effects, but because of the idea of using something that I falsely believed to be nothing more than a stimulant, never sat well with me. That was also the time when I truly believed that I was in perfect health. During this same time, my cholesterol and blood pressure started to rise and along with the emergence of a number of small and relatively subtle hypothyroidism symptoms that I chose to dismiss and ignore. I continued to ignore coffee until I began to really study the effects of diet and the foods we eat on our human physiology. I actually started to understand how coffee affected my own physiology and that it was NOT just some sort of stimulant. It was much, much more than that. That’s when I started using it therapeutically with myself and my clients with quite amazing results. The sheer fact that coffee alone has been shown to decrease mortality rates and increase longevity should be more than enough to convince most sceptics that there’s much more to coffee than meets the eye. Aside from the mere fact that coffee will help you live longer, there have been a number of other recent studies on coffee showing the truly wide range of health benefits it has to offer. One such recent study was on caffeine and its effects on skin cancer. The most common cancer found today is a form of skin cancer called basal-cell carcinoma, affecting as many as 30% of people in their lifetime. A recent study was published on the effects of caffeine on skin cancer where 112,897 people were followed over a 20 year period. Over this period of time, 22,786 people were diagnosed with basal cell carcinoma. Our findings argue that caffeine intake in men and women are inversely associated with risk of BCC. Caffeine intake was analysed throughout this study with respect to diet including tea, cola, and chocolate which are also sources of dietary caffeine aside from coffee. While these other sources of caffeine did help protect against this cancer, coffee proved to provide the most significant protection, likely because of the higher caffeine content as well as the additional nutrients that coffee provides. Sorry to be the bearer of bad news for all of the decaf drinkers out there, but decaf coffee did not provide the same protective benefits. The results of this study were also backed by the results of mice studies which have demonstrated the same effects on skin cancer. If you believe that skin cancer is the only form of cancer that coffee helps to protect you against, then you would be greatly mistaken. There are many other very common forms of cancer that coffee and caffeine help to protect against including breast cancer, prostate cancer, and colon cancer, just to name a few. It’s time that we stop looking at coffee as just some food and start seeing it for its true potential as an important nutrient that can help restore dysfunction and maintain the healthy function of the human body. But it’s also important to use it correctly which most people do not. Today, most people rely on coffee just to get them through the day while ignoring the importance of their diet to their health. Coffee should be looked at and used as a supplement, and therefore play a role in supplementing an already health diet. 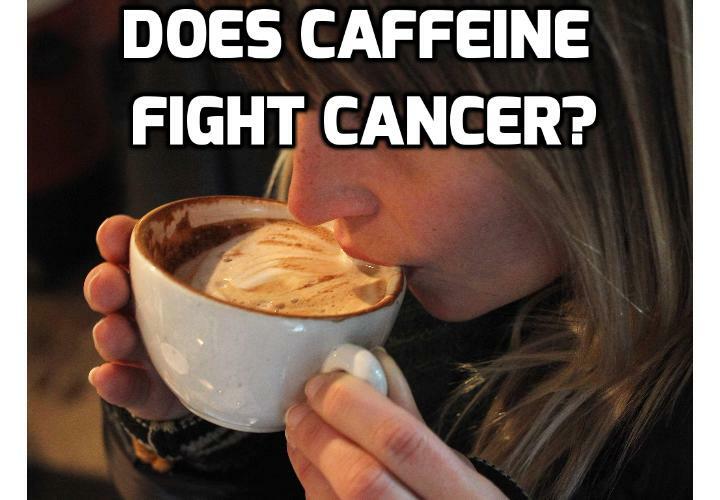 Watch the 2 videos about Caffeine and Cancer – Caffeine and Cancer plus Is Coffee Bad for You?